When a mysterious woman knocks on David Knight’s door it has life and death implications for a select group of people all featured in a photograph which is shown to him. Her name was Perdita and she told him that one of the five undergraduates from the prestigious Cambridge University, including him, is her father. To be honest I felt that this was like the original Brat Pack. A group of men that thought themselves far above everyone and everything, quite untouchable. To stir things up even more David had lost a memory slot of about 6 months after being hit on the head, so he couldn’t remember this period of time. It was time to get thinking like one of the detectives in his unfinished book, Murder is Equal and try and make sense of the dreams he kept having about a mysterious woman. Game on. I really fell into stride with this novel, I loved the mystery and intrigue that surrounded the past and the confusion that someone was creating in present day to throw David off scent. I felt that the memory loss of David was quite an ace card in the investigation were you always felt the frustration bubbling within him at not knowing what had happened even to himself. This isn’t a police investigation, this is a middle class author trying to play super sleuth as much to clear his own name as to find out the truth. The deeper it goes though the more complicated it becomes as someone neither wants the past digging up or the present day mystery solved but how far is someone prepared to go? John Nightingale has produced an intricate mystery that has been a pleasure to unwind with the reluctant investigator. I so enjoyed the inventions too they were brilliant. I wish to thank John Nightingale for this book which I have chosen to review. John Nightingale is the author of The Sky Blue Parcel, the first in the Jane Charles series and The Appearance of Murder – listed as a book of the year for 2015 in The Times and as one of 10 Best Books of 2015 on AskMen UK. Before becoming a full-time novelist, he worked as a civil servant in a number of different roles. He was, among other things, in charge of national alcohol misuse policy (“previous experience not required and may even be a disadvantage”); and an expert on pensions and pensions education, playing a leading role in sorting out the Maxwell pension scandal. He studied English at Cambridge and lives and writes in London and Suffolk. In 1990 he married Caroline Slocock, who also worked as a civil servant for many years, including as the first woman Private Secretary in No 10 and as a senior civil servant at the Treasury. They have two daughters. His civil service career provided the background to The Sky Blue Parcel, where he worked closely with Ministers, for example on the Department of Work and Pensions’ anti-fraud strategy. Jane’s branch in Her Majesty’s Treasury dealing with large scale organized financial crime is an invention but perhaps overdue. 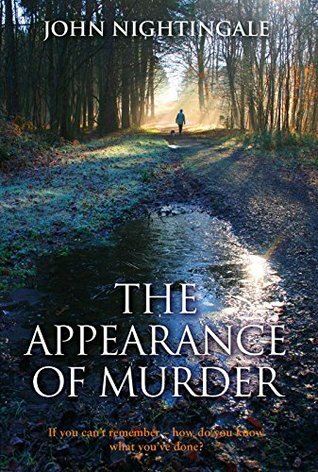 A sense of the surreal and the difficulty of determining where precisely reality lies is a key element in John’s thriller The Appearance of Murder featuring David Knight.